Spare5 sends out notifications when some new tasks are launched, and when more tasks are made available. You can change notification settings on your Profile. On iOS devices, click the Profile link on the home screen, and set your Notifications. On the desktop, click on your avatar/photo and then the Profile link. You can also click here. 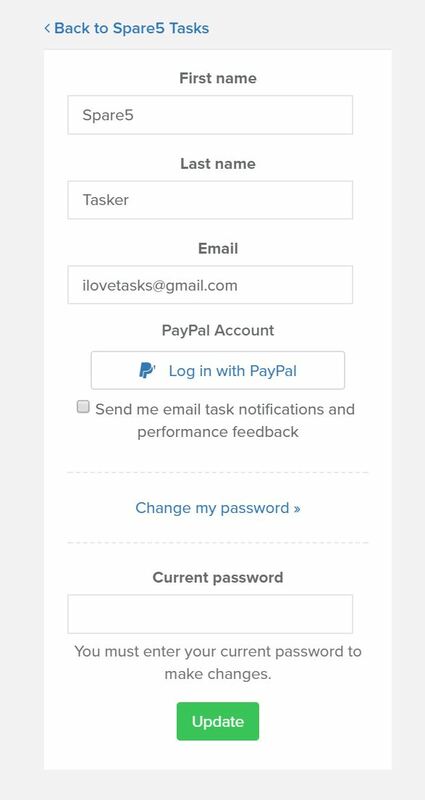 Check or Uncheck "Send me email task notifications and performance feedback" and enter your email address.